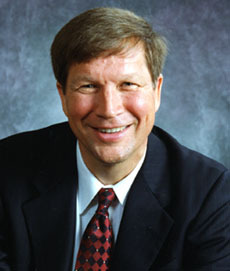 Over ten years ago in the 2000 cycle, having chaired the Budget Committeee in the US House when it had achieved its first balanced budget in many years, John Kasich was one of 12 or more Republican candidates for president. I liked him, though I actively supported another candidate. But, he and others withdrew before the primaries: “Not at this time,” Kasich said he felt the voters were saying. Having returned to Ohio, in the 2010 cycle Kasich ran for governor and won, as did many other Republican governors in old rust belt states that reacted to the overreach of Obama and the Democrat Congress. Kasich is a sober realist who knows what he responsibly has to do, but delivers the message and the action empathetically with a smile. Inevitably, the tumult of confronting the uncontrollably rigged public union expansion of costs in Wisconsin, is moving on to Ohio and Indiana (where Daniels has already ended the collective bargaining of state employees). Now he and Kasich are confronting state-mandated union bargaining in private industry, in order to improve their states’ status as competitive business environments. Daniels has already achieved one of the best state balance sheets in the country. But whereas Wisconsin’s Scott Walker is trying to square a deficit of 3.6 billion dollars, Kasich walks into a deficit of 8 BILLION DOLLARS in Ohio! Wisconsin is also a relatively well-managed liberal state. Kevin Williamson at National Review called it “the Sweden of The United States.” Wisconsin has more of the high-brow academic latte and Chablis-sipping liberals. Ohio on the other hand, is more strongly blue-collar lunch-bucket head-cracking union liberals. What I’m saying is that what Kasich will face in taming Ohio’s unions will make Walker’s relatively meager trimming of public teachers unions in Wisconsin look like a tea party. I said months ago that the vandalizing, reality-blind European protests against unavoidable economic adjustments in Europe last year, were coming here, and they surely are. Wisconsin, Indiana and Ohio will hardly be the end of it, though after it washes out, we might pray that later states see the LARGE PRINT MAGIC MARKER on the wall. Kasich is clear: he has no other choice but to throttle public collective bargaining if Ohio is to survive. But if Kasich can survive the blizzard of opposition and an inevitable swoon in the polls, and actually come out on the other side bringing about some growth in Ohio’s economy, if by 2016 Republicans have not already taken The White House, having revived the moribund traditional swing state of Ohio, Kasich will be a superstar that many Republicans will parade on their shoulders before the country. If on the other hand the unions beat him down and the state rejects him, Mighty Kasich will have struck out. So, for a long time, will have Ohio. Someone will have to come along later to deal with an Ohio whose major cities will have come to resemble Detroit.